Hello there! Since my wonderful husband dove right in with the sports analysis, it is my turn to write and I figured we should actually, you know, introduce ourselves. Nick and I are both mathematicians by trade. Nick works for a biotech company and I am about 15 months from completing my PhD. During the day we write code, analyze data, fit parameters, and curse at our laptops. When we aren’t working, we enjoying running, cooking, watching sports, entertaining, and enjoying the Raleigh nightlife. We were married in March of 2013 and live in the suburbs with our four crazy cats. We created this blog to share a little of our life with the outside world. I’ll be sharing workout tips and schedules, (mostly) healthy recipes, and other random things that happen in our day-to-day life. Nick has always been interested in sports analytics, so he will be writing about everything from fantasy football to college basketball to NASCAR. We will also write about things that pertain to us as a couple that many normal people go through, such as balancing work and life. Now, onto the fun part. Cocktails! Since we live in a huge (to us) house, we love having people over. 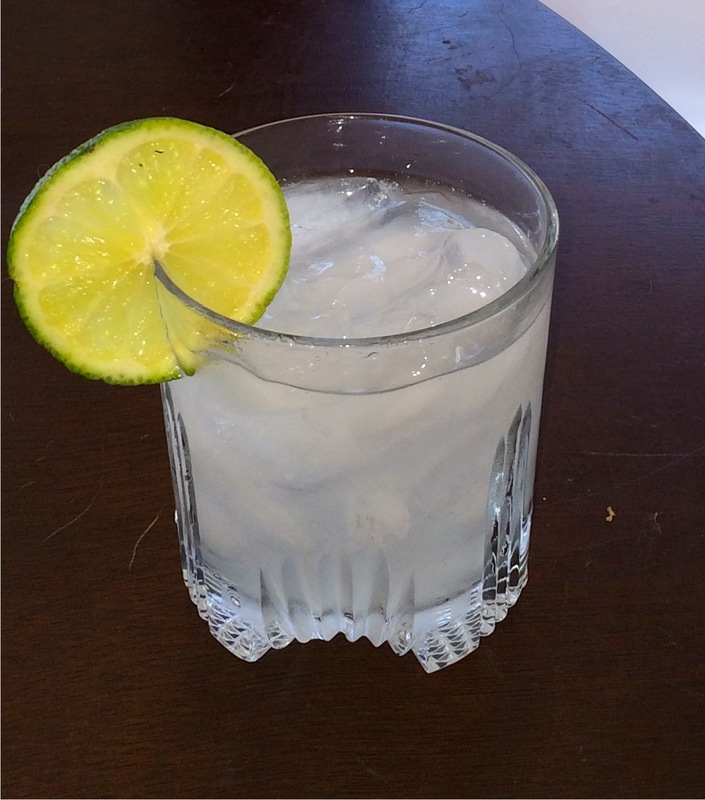 We’ve hosted many gatherings, and one way I’ve found to get things started is to serve a signature cocktail. It’s a great icebreaker and you get to expose your friends to something they may not have otherwise tried. Today, we’re infusing vodka. Sounds fancy, right? It is actually very easy, the only catch is that it involves some advanced planning. 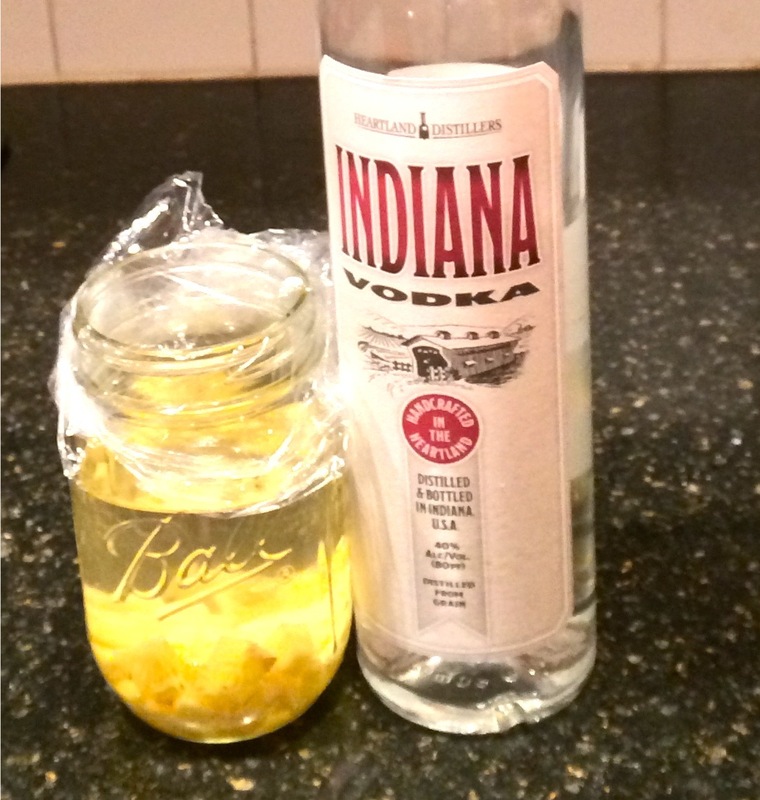 Vodka + ginger in a mason jar, ready to be infused! Like most of the rest of the United States, we’ve had insane weather and cannot wait for spring. For the moment, we’re forgetting about all the snow and cabin fever by making an upbeat and fresh cocktail. Craft vodka is infused with fresh ginger, then combined with lime juice and simple syrup to make an elegant yet easy cocktail. The ginger is present but not overpowering, which makes this perfect for porch sipping. Combine 4 oz. ginger vodka, 1 tbs. simple syrup, and the juice of 1 lime in a cocktail shaker. Add ice and shake. Fill 2 highball glasses to the top with ice. Strain the mixture into each glass, dividing evenly. The best hosts are ones who take all of their guests’ needs into account. If you have girlfriends who are pregnant or friends who don’t like to drink, consider serving a mocktail version. Replace the ginger vodka with a non-alcoholic ginger beer such as Reed’s ginger brew. Skip the shaking step and simply combine all ingredients and serve over ice. Remove the skin from a 3 to 4 inch piece of ginger. Dice. Meanwhile, add 10 oz. vodka to a glass jar. Add the ginger. Cover and let sit in a dark place, 48-72 hours. To serve, use a sieve to remove the ginger from the vodka. Bring a kettle of water to a boil. Place 2 cups of sugar in a glass jar. Add boiling water until all of the sugar is dissolved, stirring frequently.